Andrea hosts a great show every third Sunday at a lovely restaurant, Tannouine. She invites many extraordinary dancers from the bay area as well as internationally known performers. I will be dancing this Sunday 9/19 along with a bevy of other impressive dancers. It will be an especially celebratory night because it is the owner's birthday. 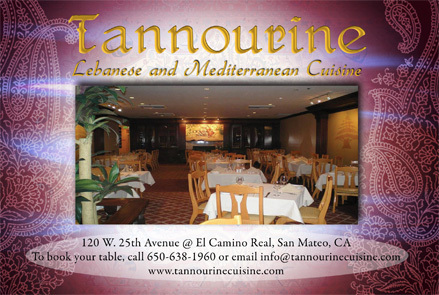 An excellent Middle Eastern dinner plus exciting show for only $25. I would recommend reservations because it will be a packed house that night. Attached are two flyers with the details.